News websites Pocket Manchester and About Manchester are to join forces in the new year. 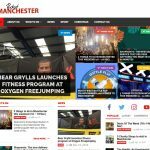 Pocket Manchester is a what's on, magazine-style site mixing coverage of news, sport, lifestyle, arts, food and fashion. It's part of the MSM Digital Group, which specialises in social media management and video production and works with clients including Manchester City FC, East Z East, and Fifth Manchester. About Manchester was founded as an online news and features magazine covering the Greater Manchester area in 2014 by Nigel Barlow, the former joint editor of Inside the M60. Barlow will now take on the role of publishing director and editor across all the MSM titles. As well as the Pocket Manchester and Pocket Liverpool brands, MSM Digital also produces the Official Manchester City Supporters Club website and its social media channels. MSM director, Neil Collins, said: "In 2017 our journey enters its final stage with the announcement that Pocket Manchester and About Manchester will become one, offering both sets of readers a complete Manchester journey in words and film, delivered to an even wider audience.